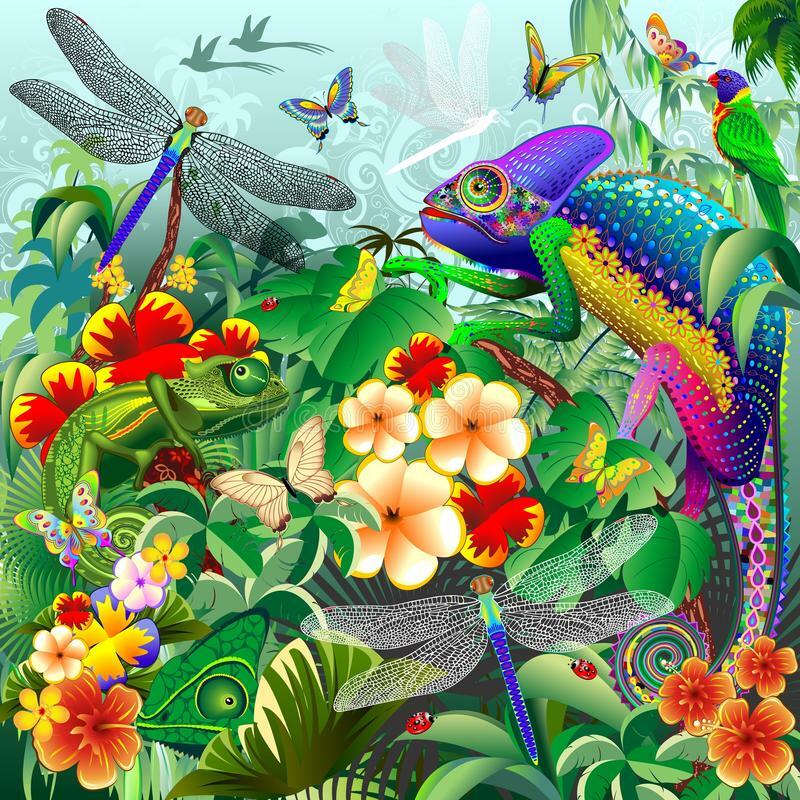 "A Jungle Scenery with several chameleons hunting insects like Dragonflies, Butterflies, and Ladybugs. Three of these chameleons are hidden in the vegetation, with their green camouflage, but one, rainbow-colored is opening his mouth to take out his long tongue and capture the Dragonfly in front of him." Check out my Portfolio on DREAMSTIME, HERE! Thank You! 25% off on BluedarkArt's Society6 Shop!